Today we announced the expansion of our threat intelligence offering. 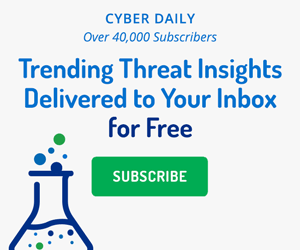 We now provide threat intelligence analysts and security operations centers access to an unrivaled breadth of technical, open, and dark web sources in a unified solution. Manually turning data on cyberattacks, vulnerabilities, and exploits into actionable threat intelligence requires significant investment of time and resources, proving an extreme challenge to almost every business. Recorded Future’s patented Web Intelligence Engine automatically collects data and conducts deep analysis from the broadest set of sources from the open and dark web, as well as threat feeds, technical collection, and security reporting. Using machine learning and natural language processing, these billions of data points are extracted and organized to filter noise to help businesses surface emerging threats up to 10 times faster. Open sources are extracted by mining the open web including social media, information security reporting sources, paste sites, and code repositories for references and content connected to cyber threats. Closed or dark web sources are the difficult-to-access closed forums and marketplaces, including TOR sites on the dark web, and criminal forums. The top tier of closed sources require “special access.” This analysis is carried out by Recorded Future’s experienced threat analysts combined with our patented machine-learning technology. Also today, Jon Oltsik, senior principal analyst at ESG, released a new ESG Solutions Showcase on Recorded Future’s all-source approach to threat intelligence. The paper discusses the good and bad of threat intelligence and how an all-source approach helps organizations use a wide range of threat intelligence to mitigate business risk, accelerate incident response, and streamline security operations. Solution Showcase Abstract: When it comes to threat intelligence, there is good and bad news for enterprise organizations. The good news is that CISOs understand the value of threat intelligence programs and are increasing investments to maximize benefits. The bad news is that they continue to use threat intelligence tactically, making it difficult to operationalize threat intelligence to reach its potential. What’s needed? An all-source approach that helps organizations use a wide range of threat intelligence to mitigate business risk, accelerate incident response, and streamline security operations. Recorded Future can help CISOs achieve these goals. Do you want to see our new capabilities in action? We have a team in San Francisco this week at RSA Conference 2017. Stop by Booth S315 to see a live product demo. Not attending the event? Get started by requesting a demo.